1 October 2008. The Jesuit Music Ministry released a new songbook. The objective is simplicity. 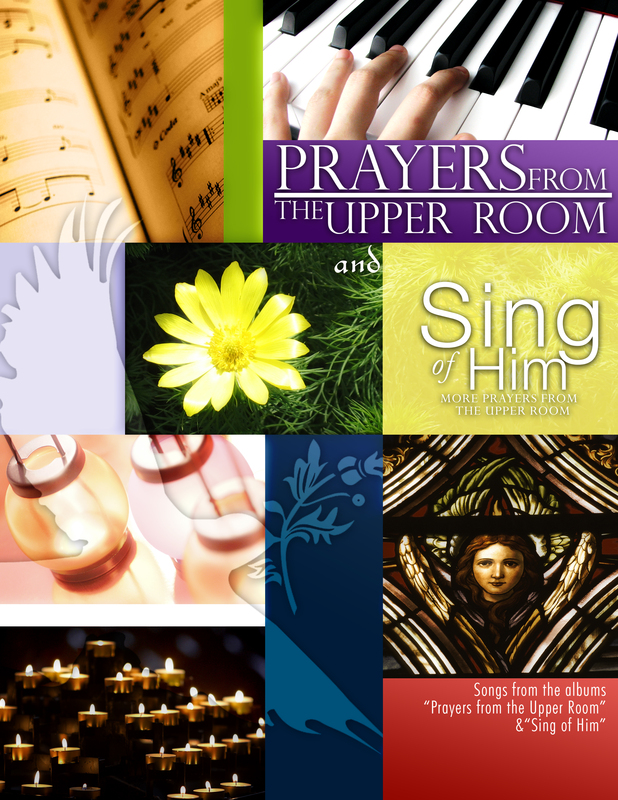 This songbook contains the musical scores of two albums, Prayers from the Upper Room and Sing of Him, produced by the Religious of the Cenacle and the Jesuit Music Ministry. As articulated by the introduction of the album, Prayers from the Upper Room, the inspiration of these albums is the Cenacle (latin,”coenaculum”), where the Last Supper took place, where Jesus washed the disciples’ feet, where He returned after the Ascension. It was the place where Mary and the disciples “devoted themselves to prayer” (Acts 1, 14) until the coming of the Holy Spirit at Pentecost. These songs are therefore intended for quiet and communal prayer. The notes and arrangements are stripped to the basic melody and a few lines for harmony, with only an exception for a SATB choir. The songs from the album, Sing of Him, are for duets. Though the songs can be sung in big occasions, the feel and mood of these arrangements express an intimacy found in the gathering of family, friends or small communities, all remembering the Lord in prayer and liturgy. This songbook is available at all Tanging Yaman stores at the Jescom building and Loyola House of Studies in Ateneo de Manila University, Loyola Heights, Quezon City; at Gateway Mall (near LRT station) and at the 5th floor, SM Megamall (outside of the SM Megamall Chapel). Welcome to the New JMM Blog! Thank you very much for visiting! I moved from our old blog (prayerswrappedinsongs) to this location because the username (jesuitmusicministry) is available at wordpress. It is easily remembered. But what I like here are the pages --- you find everything explainable right away: from Jesuit Music History, services, and updates. Do leave your mark by writing us what you think --- or a "hello!" suffices. It would be greatly appreciated.